"Staff plan exciting activities because they quickly get to know children's learning needs. The indoor and outdoor environments are well organised with interesting equipment. Children persevere and concentrate on their activities across a wide range of areas of learning and make good progress." "[Reception pupils] settle quickly and access a wide range of exciting activities within the classroom and the outdoor environment so that they make good progress." "Writing is developing rapidly because pupils understand what is to be achieved and apply interesting use of language in all subjects." "Pupils' outstanding behaviour and attitudes make an excellent contribution to their learning and progress. They discuss challenging tasks very sensibly, and show high levels of respect for each other's views." "Pupils, staff and parents agree that behaviour is managed exceptionally well so that all pupils have the chance to do their best in lessons. It is an important strength and priority of the school and leads to outstanding pupil attitude​s. Pupils are very proud of their school and of their behaviour." 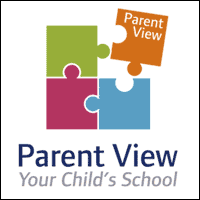 To give your views as a parent please click on the icon above.